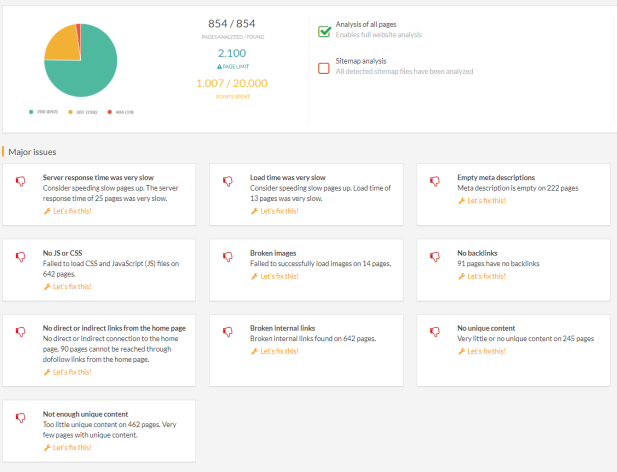 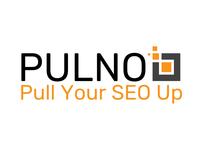 Created by a team of SEO experts, Pulno is an SEO audit and website analysis tool. 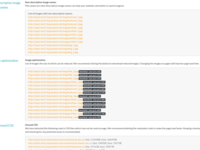 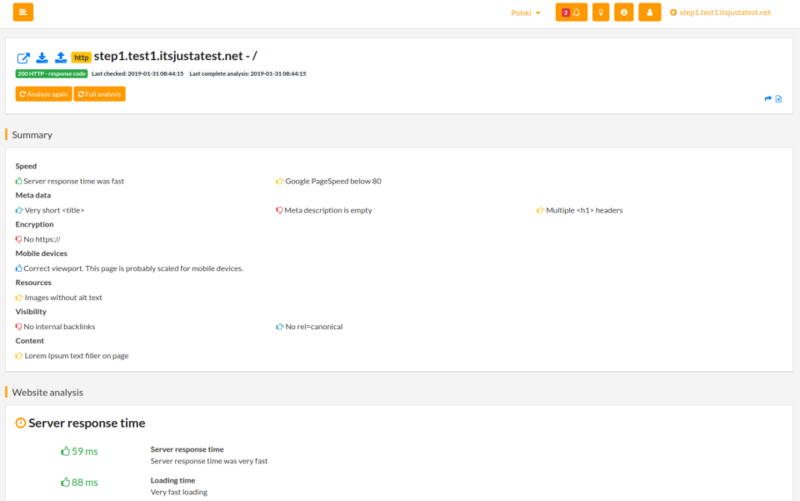 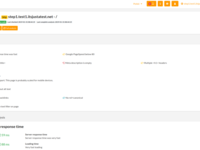 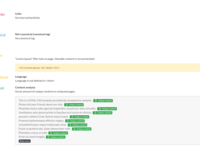 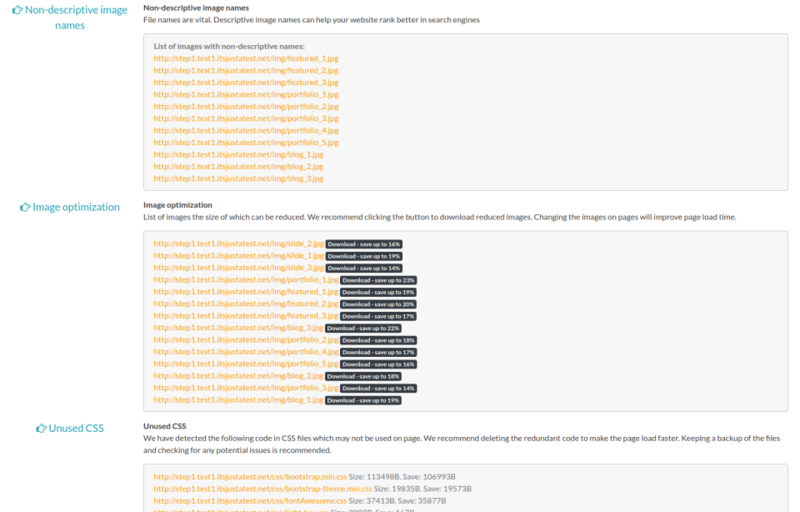 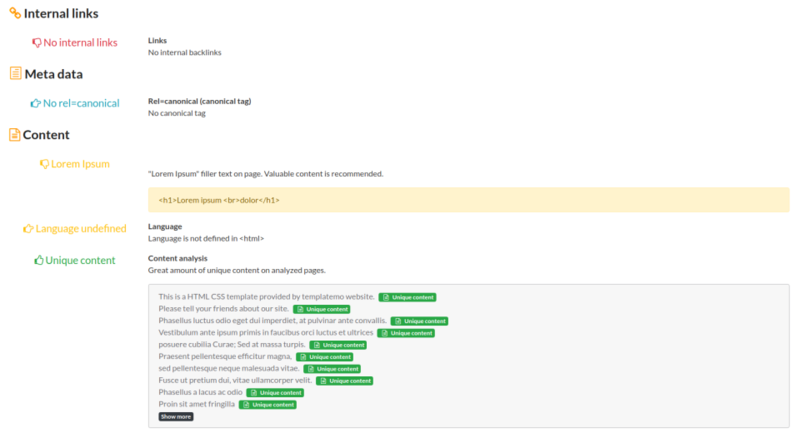 Some of Pulno's many features are: unique content analyzer, meta tag analyzer, viewport verification, CSS optimizer, image file optimizer, robots (both robots.txt, meta robots and x-robots) and many more. 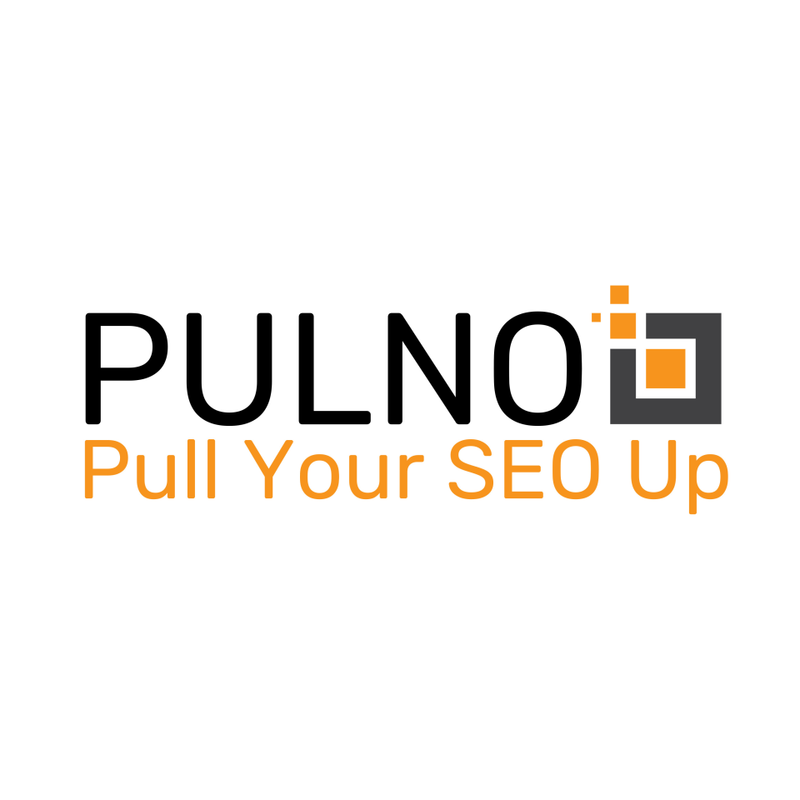 Pulno merges in-depth website analyses with easy-to-follow tips in order to help gain visibility, traffic and rank better in search engines.